Plaidy fan, Oliver Carter from the UK, sent this cover over to me to add to the site. 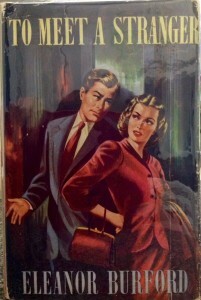 To Meet a Stranger was published by Boons & Mill in 1957, and is a hard to find novel from the pen name Eleanor Burford. The author published under this pseudonym between 1941-1962 with a total of 32 books (complete list and some photos can be found here). It was the Daily Mail’s literary editor who first persuaded Eleanor to give up ‘serious’ fiction. “You’re barking up the wrong tree,” he told her. “You must write something that is saleable, and the easiest way is to write a romantic novel.” Having had very little previous experience of this genre, she decided to study it closely, reading 50 romances before writing one herself–Daughter of Anna–which was promptly accepted by Herbert Jenkins. The book was a success when it was published in 1941, and Jenkins immediately contracted her to produce one novel (later two) each year for an advance of ‎£30 a title. All these novels were published under the author’s maiden name, Eleanor Burford. 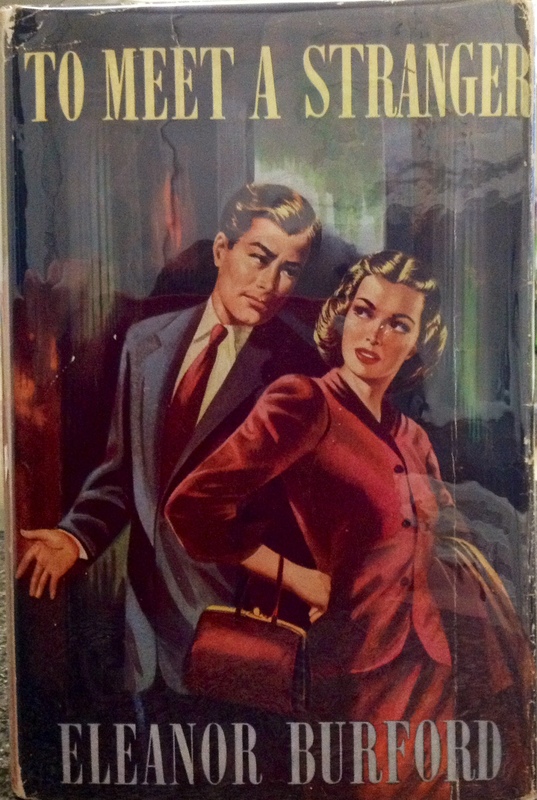 They are romantic tales of young love with titles like The Passionate Witness (1941), The House at Cupid’s Cross (1949), The Love Child (1950), and Castles in Spain (1954). She wrote 20 such books for Herbert Jenkins between 1941 and 1955, and a further 10 for Mills & Boon in the years from 1956 to 1962. These are now the least-known titles in the Plaidy canon–generally quite scarce and difficult to find.